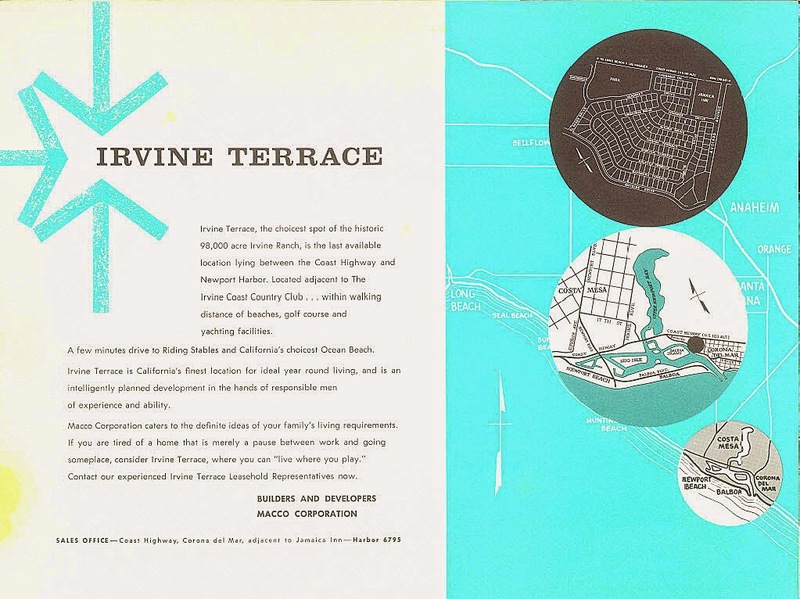 Irvine Terrace is part of Corona del Mar (which is part of Newport Beach, California). Corona del Mar started in 1904 as a beachside vacation community. 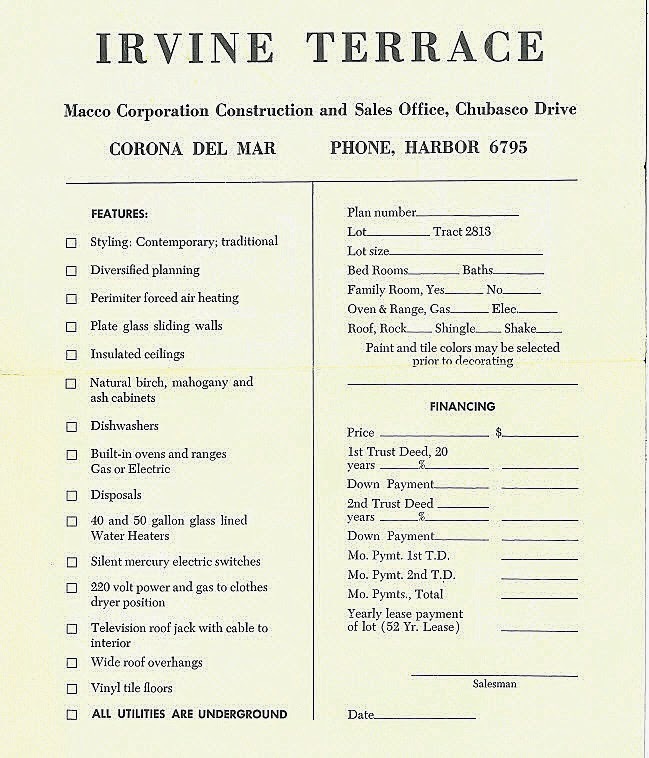 It was still quite small in 1953 when grading began on the "Old Terrace" to create a series of stepped down streets resulting in many properties with ocean views over Balboa island (not us of course). Here is an 1954 photo of the original grading just above the Balboa Island, the white bit of land about at the middle of the picture with a couple of lines of houses in the middle. This was the old Terrace (where I live). The brochure I lucked into was from the "New Terrace" which is the darker empty lots off to the right of the white lots with a few houses. Entrez Vous indeed. Check out the wrought iron and the interior room dividers. 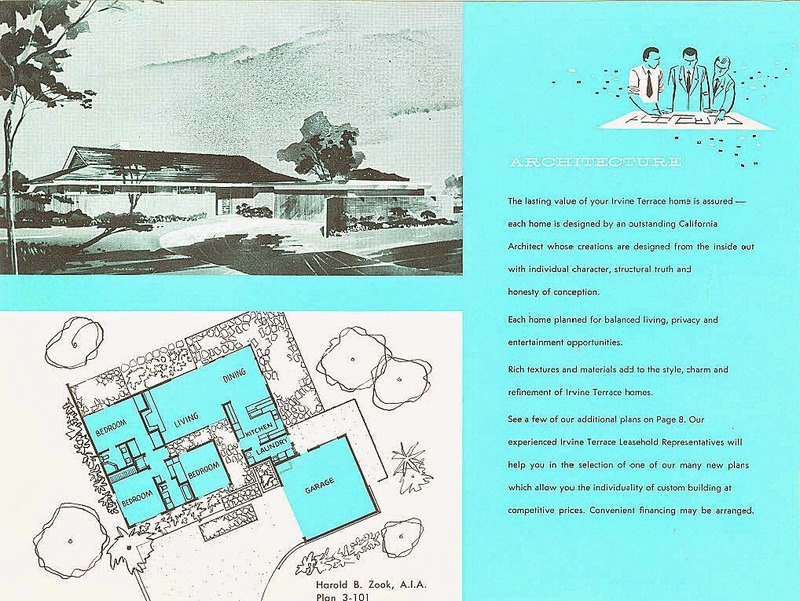 I was surprised to learn that Harold B. Zook was involved in the project who was a local mid-century architect and has actually retired in Corona del Mar. I have long been curious as to the architect for our home as the city only has plans from the 1980's. Could it have been Zook? When I figured out Zook lived nearby, I wrote him a letter to ask him if he knew if he built our home (this brochure didn't have our home layout in it and was from the second phase anyway). He called me and said he checked his archives and didn't have any paperwork from the Irvine Terrace project. He kind of implied it was not a major job and he did it more or less just for the money (not that there is anything wrong with that). But he did say that our house looked like one of his. I have toured one of Zook's homes in Pasadena, and I would say it does. I'll take it. Look at the fireplaces! Ours is like the rock wall one on the left. Here is a piece of sales collateral which they used to write the deal up. "All utilities are underground." This is a huge big thing. Most neighborhoods back in the day had electric poles ringing the neighborhoods. Nothing to obstruct the views in Irvine Terrace. This photo shows off the ocean for sure. Check out the translucent, Japanese-esque room screen. When we first moved to Irvine Terrace, I couldn't figure out what was up with the street names. There was no theme at all: Galatea, Bonnie Doone, Marapata, Ramona, Dolphin, Sabrina, etc. Eventually we learned that all the streets were named after famous Yachts in the Newport Beach Harbor. 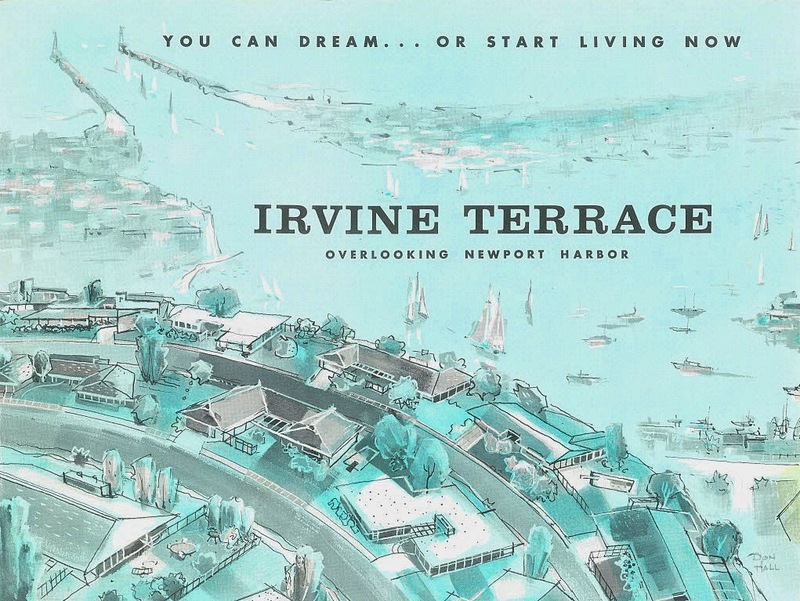 Neat little story about all the Irvine Terrace boat names here. We live on Santana. Yeah, that is right. 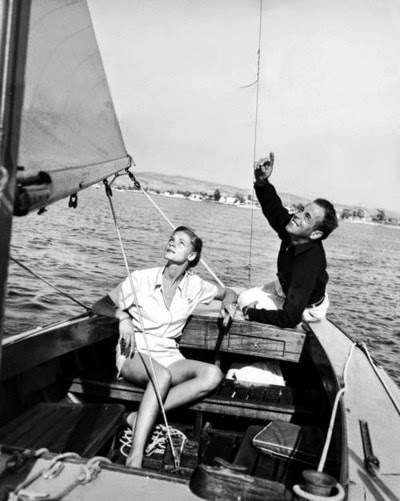 Humphrey Bogart's boat. Pretty neat, huh? To see all the brochure photos plus a map of the "New Terrace," click here. 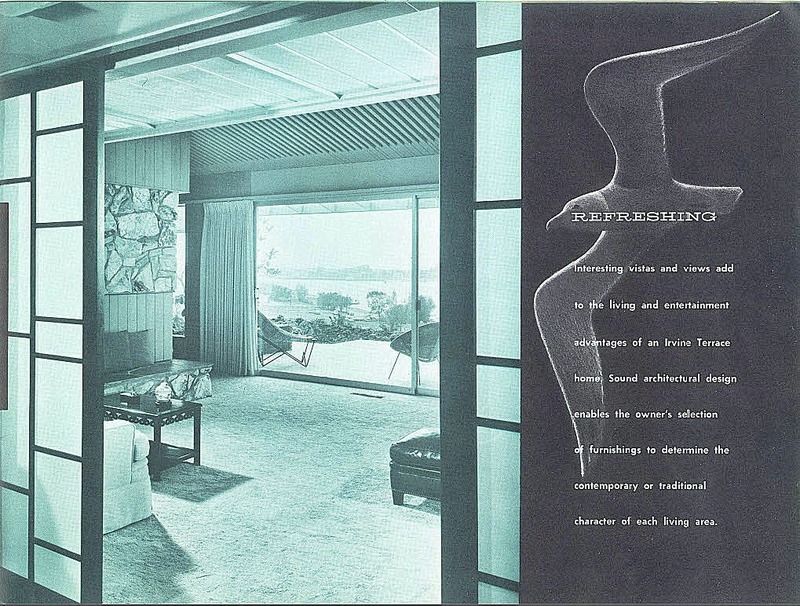 I remember going into some fabbo MCM houses in that area for estate sales when I lived in the OC. Lucky you to live there! We just had our community garage sale. You would have D-I-E died. How fantastic that your friend helped you find the original sales brochure. It sounds like your neighborhood was pretty swanky! 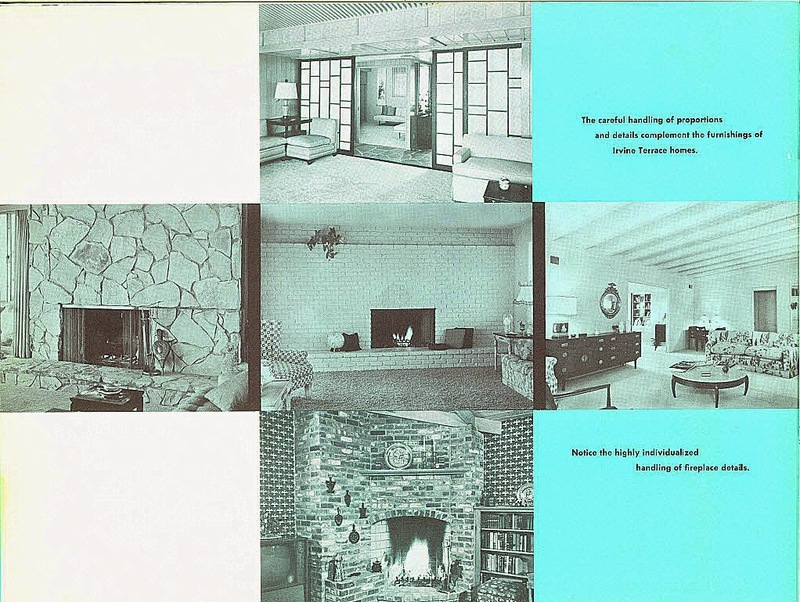 I know you were excited to latch onto such great ephemera to document your home. Lucky you!!! DANA! I had to go look that up you ex-teacher, you. Good one. Ephemera: items of collectible memorabilia, typically written or printed ones, that were originally expected to have only short-term usefulness or popularity. That is amazing you were able to find so much information. 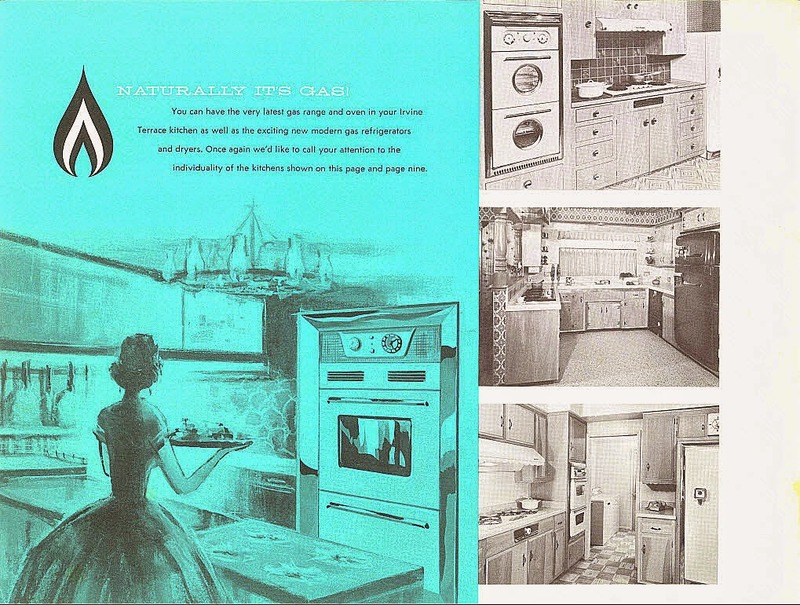 I just love the old brochures! 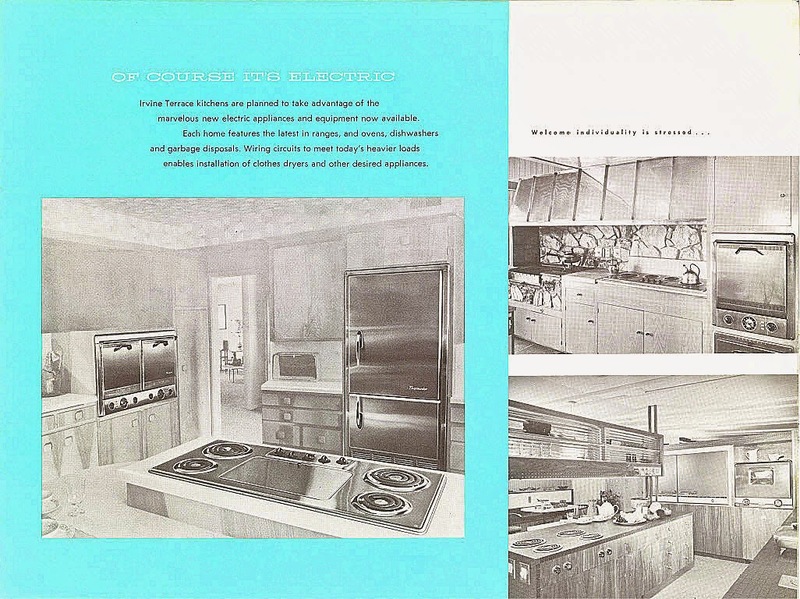 They are a lot like the Eichler brochures from back in the day. And how interesting that your street is named after Bogie's yacht!! I wonder where it ended up because it used to be in San Francisco but it said on the site that it was sold. 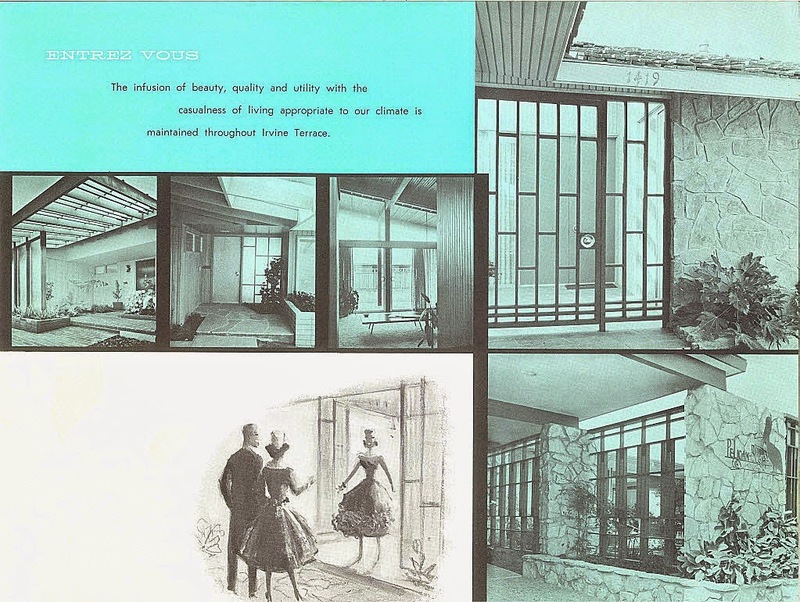 I love the old brochures too. They seem so well planned and really thought out. I forgot to mention that a long time ago on your blog you mentioned your love of vintage glass. There's an option closer to you these days than going all the way to NYC. Up in San Francisco is a shop called Stuff and they carry more mid century glass than the NY shop. I found some photos via the dealer www.deedee914.com. Her instagram is amazing... private account so follow her since she's a pretty popular interior designer up in the Bay Area. Well, fantastic tip. Thank you!